Heritage College is a Christian community-based Prep-Year 12, low fee co-educational College open to students from a broad range of religious and cultural backgrounds. The College is located in Victoria with two campuses: Narre Warren South (Primary) and Officer (Prep and Secondary). It is a medium sized school of 384, (211 Primary and 173 Secondary) where students are part of a family and known individually. Heritage College is proudly operated by the Seventh-day Adventist Church. The College is part of the World’s largest Protestant school system of education and has established a proud tradition of excellence for over 140 years. With over 12,000 students and 48 schools throughout Australia, we are proud of the quality of learning environments we are able to provide. The Narre Warren South Campus, is strategically positioned in the City of Casey, one of the fastest growing metropolitan regions across Victoria. Heritage College first opened at the current Narre Warren South campus with a refurbished office/library building and two new classroom blocks in 1999. The campus offers views across the plains to the Dandenong Ranges and today it boasts 14 permanent classrooms, Library, I.T. facilities, Science Labs, Home Economics, Technology, Music and Art centres. The newly completed Multipurpose Centre allows for all weather use of PE facilities and provides a venue for Performing Arts. Students enjoy the 2 separate playgrounds, sand pit, a large sheltered courtyard, a soccer field, an oval, tennis and basketball court. Our Narre Warren South campus continues to provide excellent facilities for the delivery of a balanced curriculum. 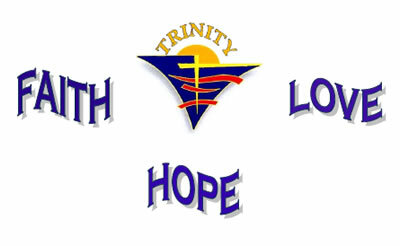 Trinity Catholic Primary School serves the rapidly growing demand for Catholic primary education in the parish of Our Lady Help of Christians, Narre Warren. As our Vision Statement indicates, we aim to foster the spiritual, intellectual, social, emotional and physical development of each student. This we aim to do in a nurturing and welcoming environment where gospel values are evident in our relationships, policies and practices. Trinity offers a warm and welcoming environment that provides for the individual learning needs of each student; our curriculum has a strong emphasis on Religious Education, Inquiry based learning and the Victorian Essential Learning Standards (VELS). Individual differences are catered for through Numeracy Programs, Literacy Programs and Enrichment Programs, as well as a range of extra-curricular activities.